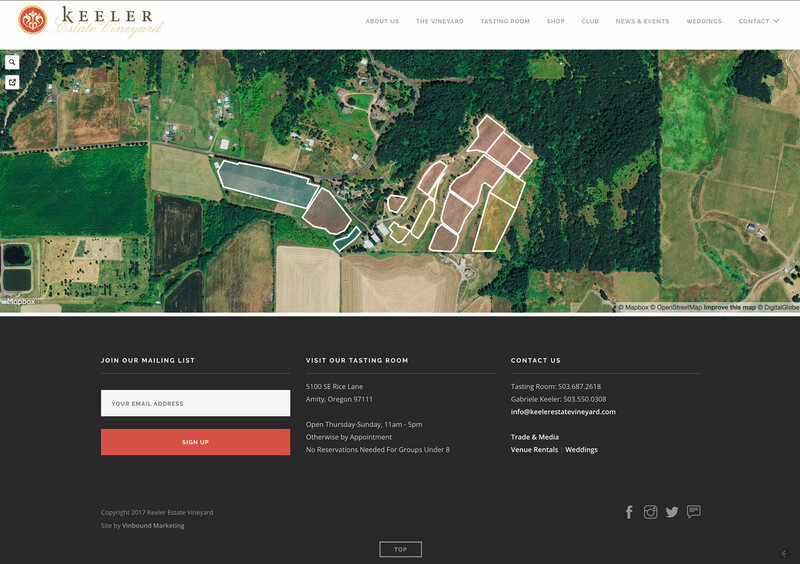 Located outside of Amity Oregon, Keeler Estate Vineyard is a small family owned vineyard and winery producing premium Pinot noir, Chardonnay, and Pinot gris wines. 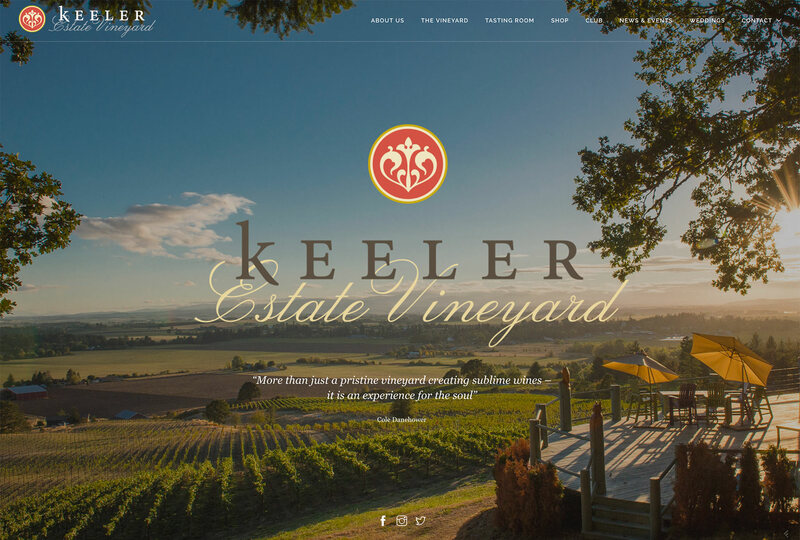 We worked with Keeler to create a highly visual website that shows off the natural beauty of their property and encourages visits to their tasting room. 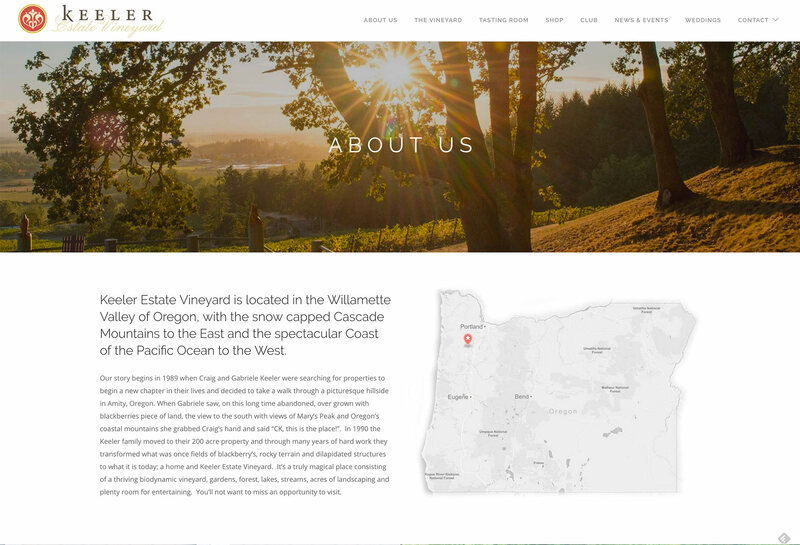 Their website is built on WordPress and features full-screen images, a vineyard map, custom club sign-up forms, numerous gallery styles and much more. 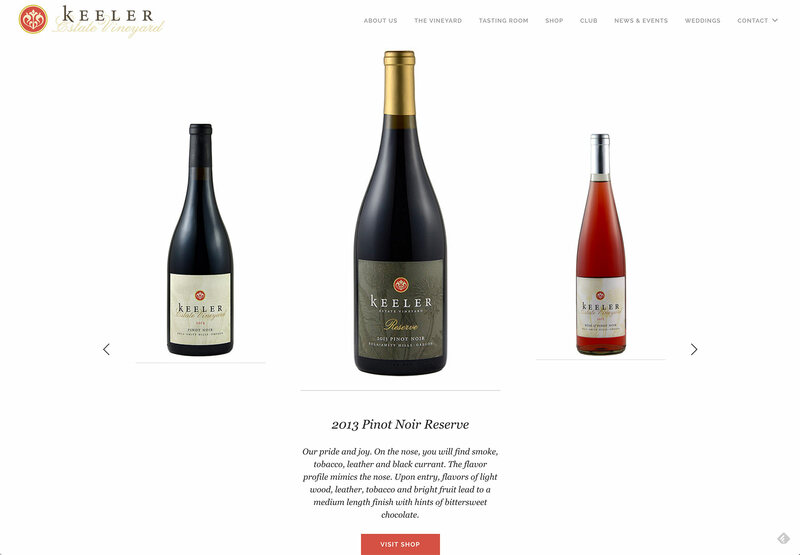 WordPress was the perfect platform to develop a custom, stunning website for Keeler.